Everyone was silent. Even though the engine was blaring through and through only to be interrupted by the accidental screeching of tires, it was still quiet. Then it happened, all too fast. The car was pushed beyond its limits and it gave in. Everyone gasped. The driver got out, the eyes of hundreds on him. Took off his helmet, threw his balaclava away. Raised it in the air and was just about to smash it onto the ground but he came to his senses. He placed it gently on the floor and slept beside it on the asphalt. He must have wept too. We’ll never know. FSAE for Pravega was a decent affair. We weren’t impressive. But we did have every reason to be proud of ourselves. FSAE in general had taught us more that life itself. The event was the 5 most fun days of my life. As I packed my things, bid my goodbyes and left towards the parking lot, I couldn’t help but think of the year that was. Phew. Some town it must be. ove any of the other establishments and I was thinking, is that it? Are we here already? My questions were answered as we found a hotel for a night cap. 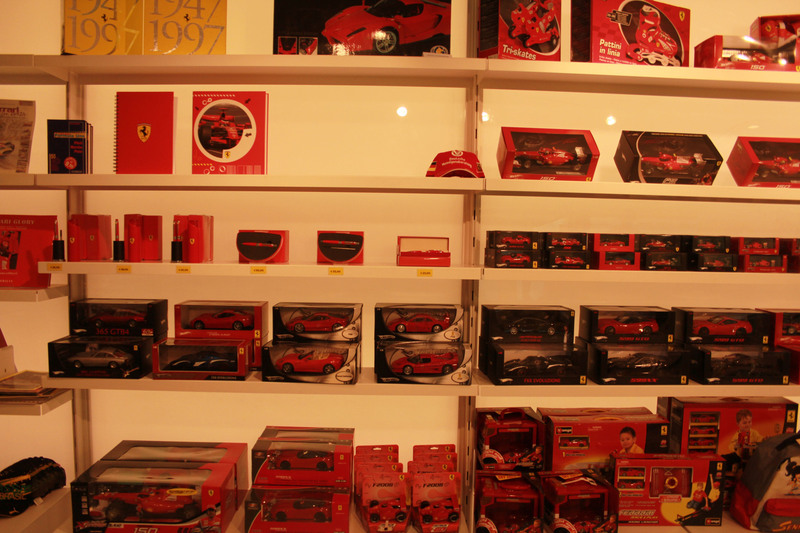 The reception, the restaurant, the beds, everything bore the colours of Ferrari. And I just couldn’t wait to wake up the next day. I was the first person out of the bed and first one to finish breakfast. I picked out a few pamphlets and maps to check for opening times. 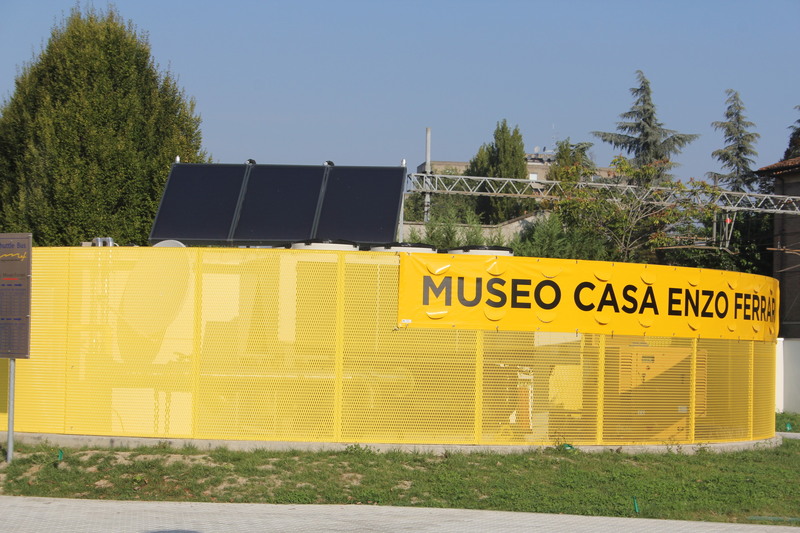 “Museo Casa Enzo Ferrai”, it was called or the Museum of the House of Enzo Ferrari, a huge yellow futuristic looking building embracing another which was the quaintest looking L-shaped house. 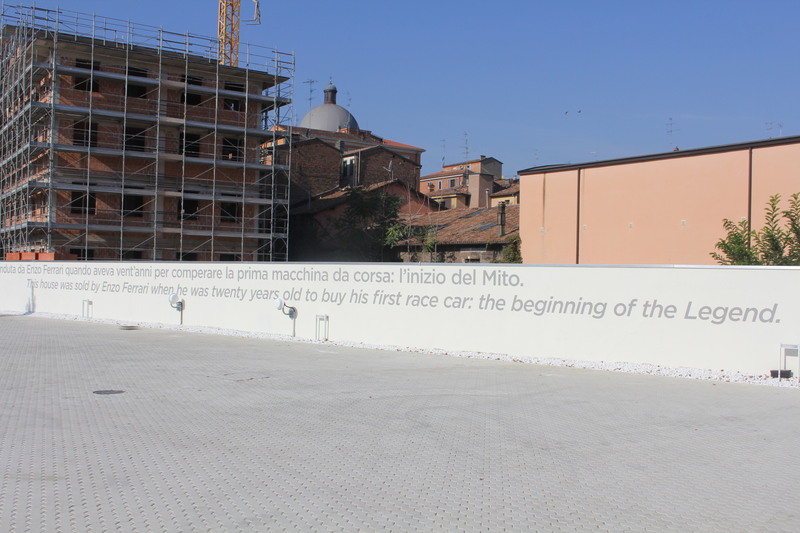 The long barrier wall had the most humbling of writing. We went into the museum, bright and vivid and classy. 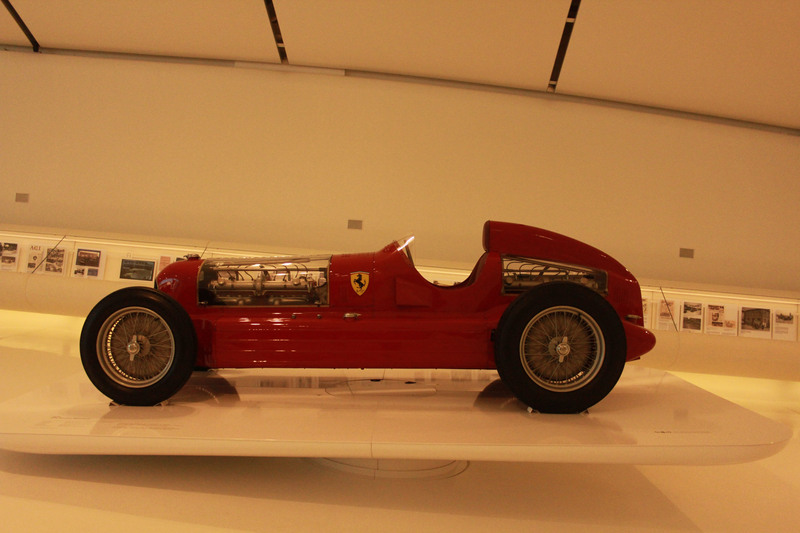 Definitely something Enzo Ferrari would have conjured had he designed houses. 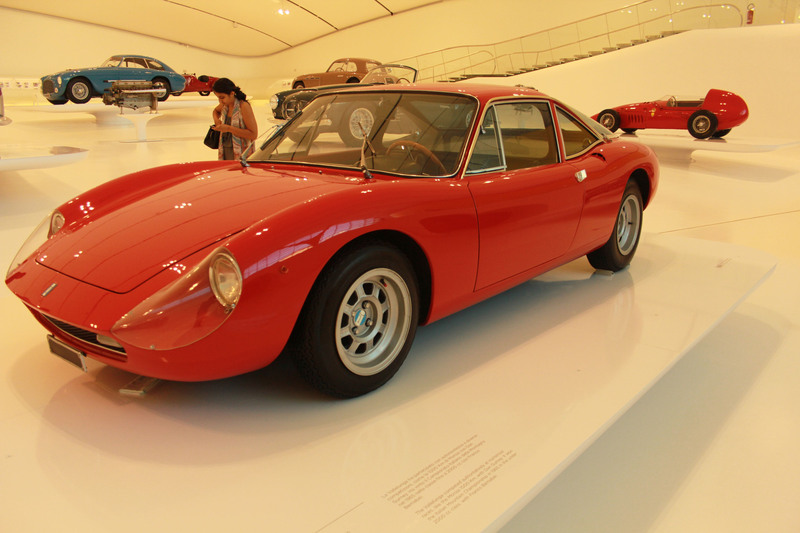 Alfa Romeos, plural Maseratis, and the occasional Ferrai. All of them very late models. It does have an amazing display of letters, documents, photos and memorabilia. 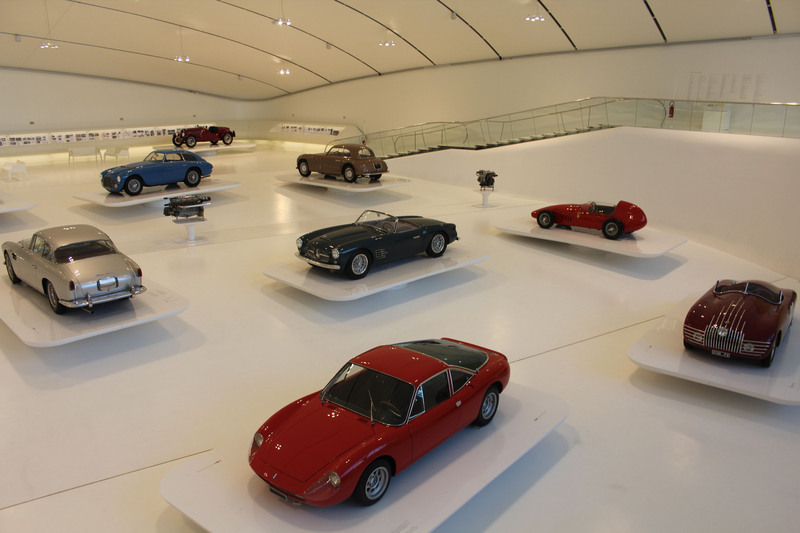 The shop showcased everything from t-shirts to F1 scale models. 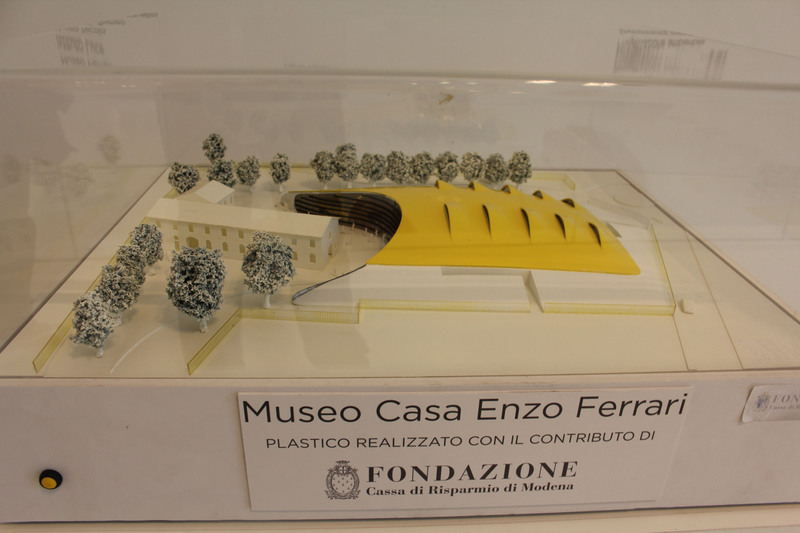 The house’s interior had been redesigned to portray a book or pages of the life of Enzo Ferrari. 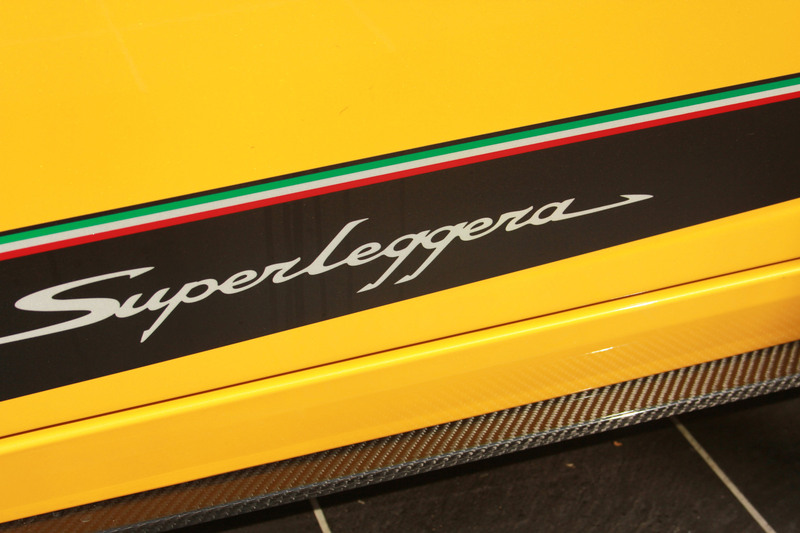 Everything from his life as a racer to his eventual association to the Superstar Sportcar, his heritage and legacy. Entertaining as it was, I still couldn’t get my mind off the fact that I was to see an Aventador in another 2 hours. 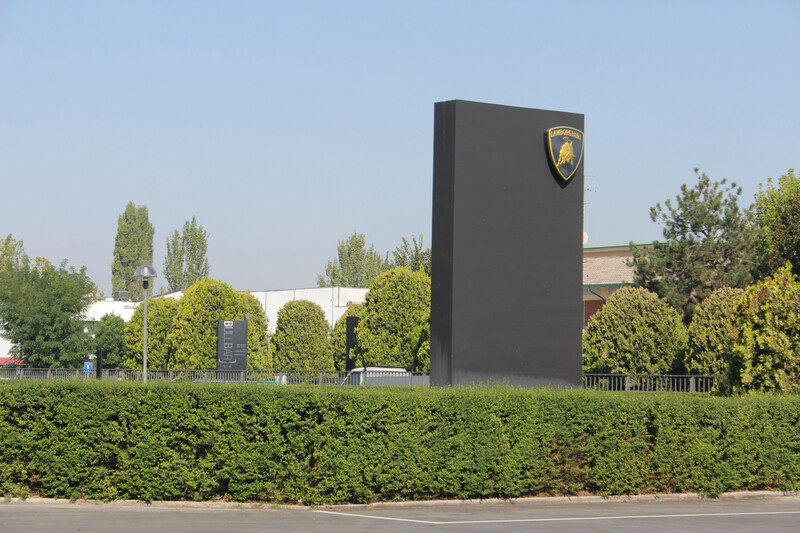 The Lamborghini Factory is built on the centre of a long road. Maybe they intended it to. Because ever since we made the last turn, I couldn’t take my eyes of it. One big large black block, with the trademark bull, ever so imposing on the road just like the cars they make. 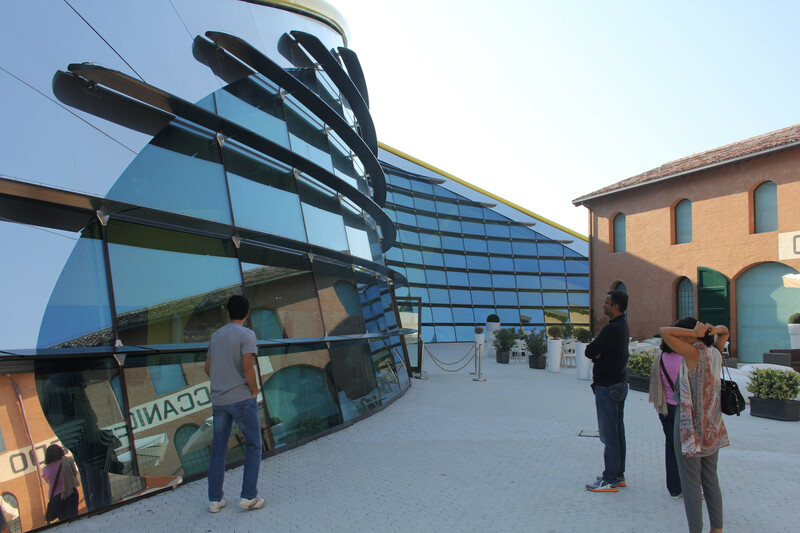 The museum is no special building unlike the one we visited earlier. 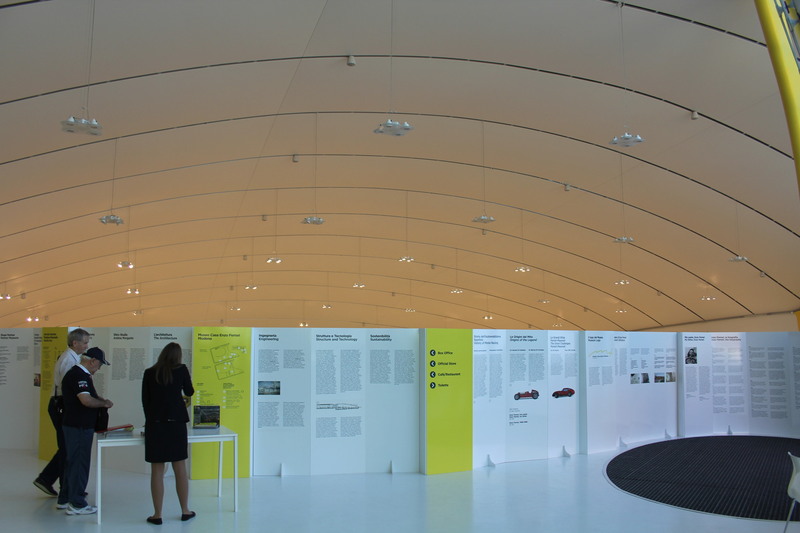 Probably, they wanted to let the cars do the talking. And oh, they did. So loudly at that. 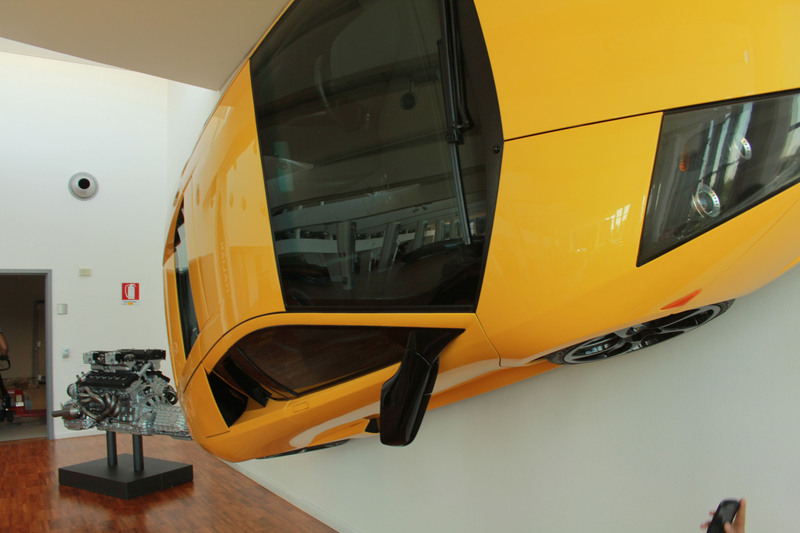 At the entrance itself lay a slick as ever, silver-grey Aventador. 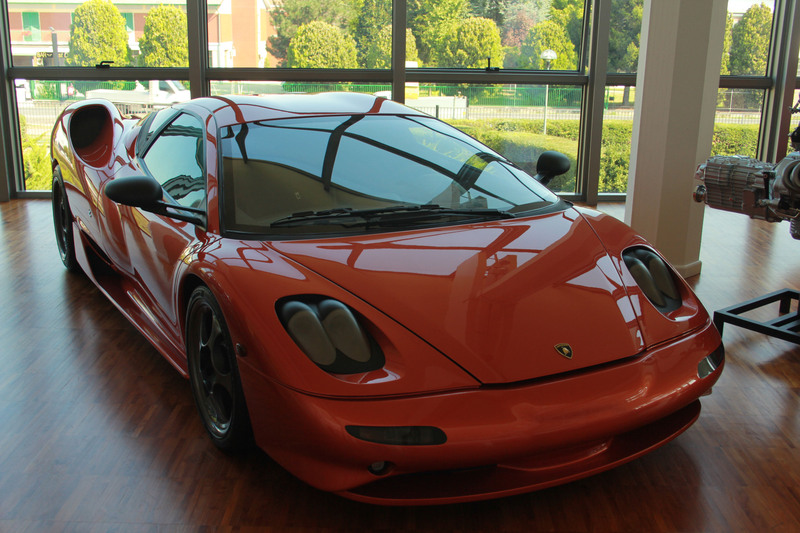 It was scary to think that it packed a 700bhp engine. Silently, waiting, calling, teasing, just tempting me to ask the manager to turn it on or last resort, just hotwire it. 3 years in jail didn’t seem a bad idea at that moment. 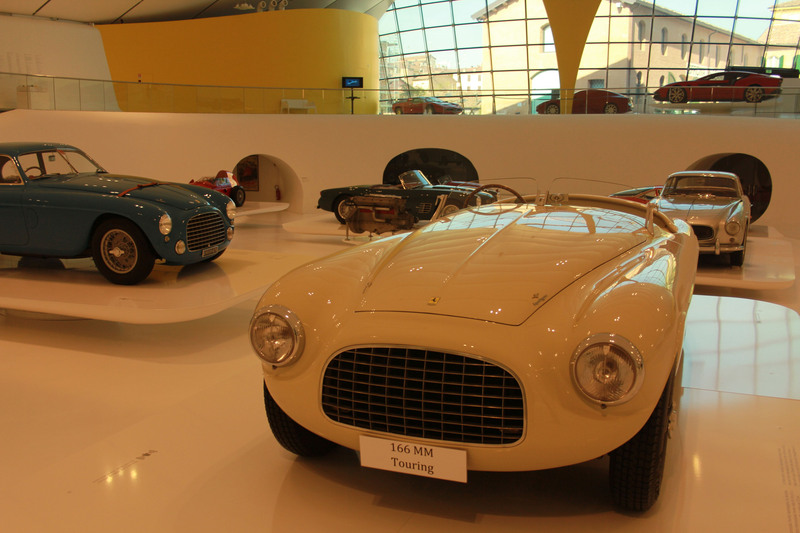 The machine looked so beautiful that I didn’t even notice the yellow Superleggera next to it. I stood there taking all of it in. It was too surreal. Eventually, after numerous taunts from dad on how I was wasting time we finally moved on. We went in. My dad was still getting the tickets when I was already past the third car. Now this was what it was all about. 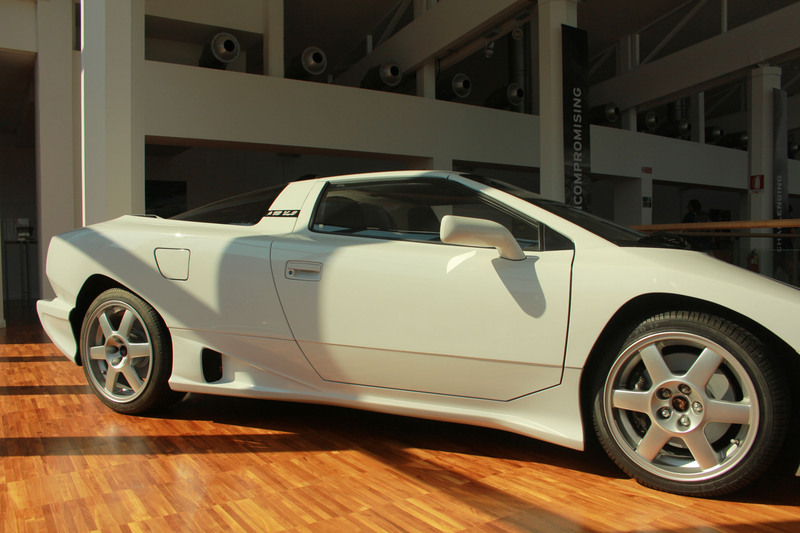 FSAE, Top gear, Chip Foose … all of my passions … it came down to this. This was to be the end product. 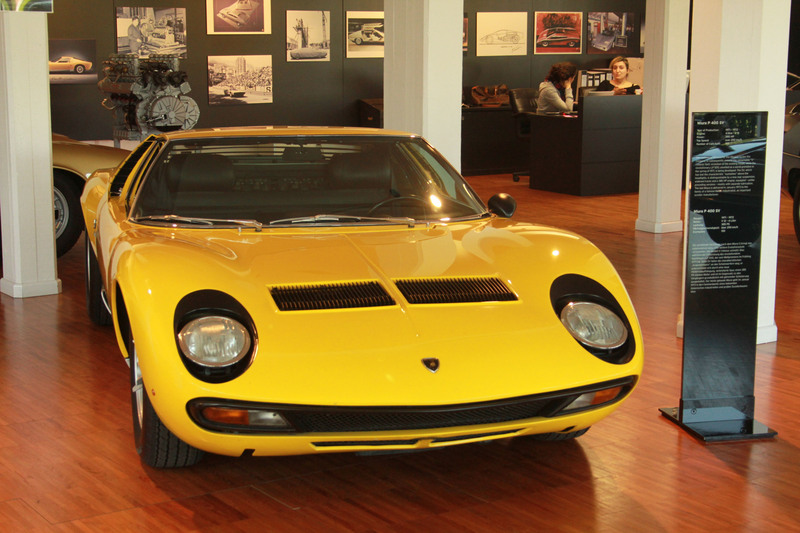 The ever pretty Miura, the devilish Diablo, a Zagato, a SuperVeloce and everything else in between. 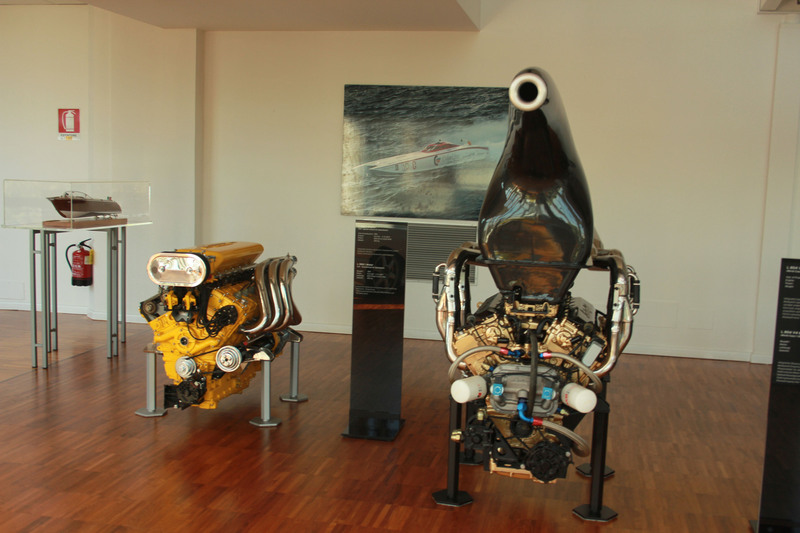 There were a lot of engines in showcase too, a majority of them being speedboat motors. 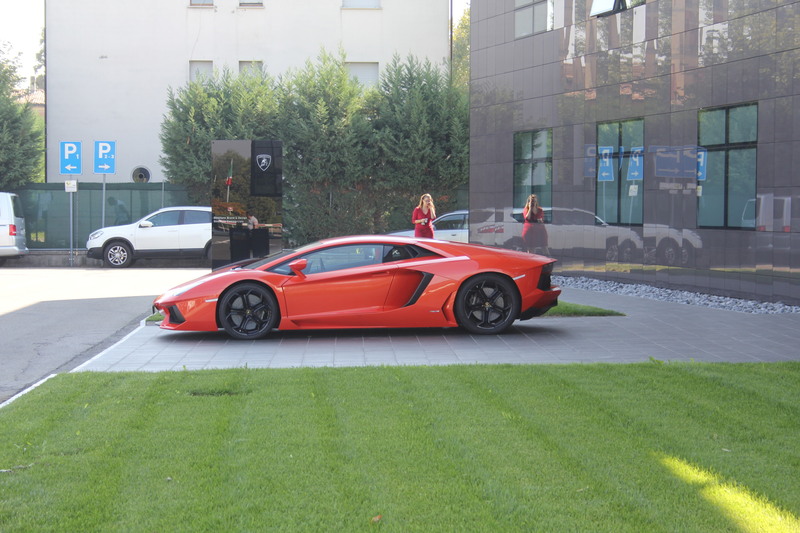 When we came out, I went back to ogling at the Aventador. A saw another later, a red one at the entrance of the factory. The factory was closed for design season and hence we couldn’t visit but I made a promise to myself to come back again once when they were open. As we were leaving, I realised Lambo has just brought out the boy in me. And I thank them for that.